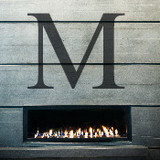 M Concrete studios is a leader in Ohio's growing decorative concrete industry. We continuously challenge ourselves to stretch the limitations and capabilities of our products to create new and unique concrete surfaces. We are brothers who for nearly a decade have been focusing on the possibilities of an ancient material. Concrete. Today, our challenge is to create new, interesting, and different concrete products including but not limited to countertops, custom tile, custom sinks, fireplaces, and furniture. We produce these elements for both residential and commercial settings and in traditional and contemporary formats. Frank Builders has been family owned and operated for more than 25 years. 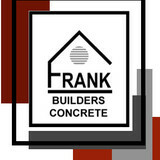 Started in 1986, Frank Builders specializes in concrete flatwork for Residential and Commercial Jobs. We are Licensed in Hamilton County, The City of Cincinnati, The City of Cheviot, The City of Montgomery and Springfield Township. We can go anywhere in the Greater Cincinnati Area to do your job. Frank Builders owns and operates our own equipment, including: Dump Trucks, a Mini Excavator, Bobcats and Tool Trucks. The showroom and outdoor displays have been designed for our Landscape Contractors to bring their customers in to show them the Travertine and Marble products in a setting that displays the materials in a patio setting with seat walls, columns, fireplace, and wall display with Vianti Falls® spillway. It has been our mission to not just supply Travertine paver material, but to supply the best selection for our Northern climate. 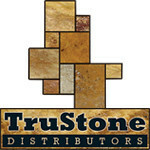 TruStone Distributors can now supply you with other materials to complete your hardscape project. We are an authorized dealer of: •EasyPro Products® for all your water feature needs. •Alliance® products and we stock - Gator Maxx® polymeric sands in Beige, Charcoal, Ivory and Black, Alliance sealers and cleaners. •Extreme Bond® masonry adhesive; which is getting great reviews from our contractors. •Filtration fabrics from 4’ to 12’ widths. •Permaloc® Edging in dyed black aluminum. •Silca System® subflooring that transforms wood decks into stone decks. •Glacier boulders from cobbles to 3000# boulders. •Lite-On® wall light kits. Please, feel free to stop by during business hours to pick up samples or even bring your customers - to show them the Travertine and Marble products. Our business hours are M-F from 8am-5pm. If you can’t come by personally, we can mail samples to you. TruStone Distributors’ address: 3273 E. Sharon Road, Sharonville, OH 45241 We have in stock 10,000’s of square feet of PREMIUM Travertine pavers in all colors along with matching copings/step treads. We have 3 new Travertine and 3 new Marble pavers; making a total of 12 colors to choose from. We also have 36” x 48” x 2” Travertine slab material. Outdoor living space design and installation by highly experienced, creative and friendly professionals. Pergolas, paver patios, outdoor kitchens and fireplaces, patio rooms and screened in porches, custom swimming pool design and builder in Dayton, Columbus and Cincinnati, Ohio. Classic Concrete offers decorative, polished, and new and replacement concrete for residential, commercial, and light industrial. We begin by working closely with our customers to determine their design need which is critical to our process. We believe creating a finished product that aligns with their vision is important to client satisfaction. Whether custom designed, decorative, or buffed to a high sheen, Classic Concrete is your go to for all your concrete needs. We also offer maintenance programs and project layout and design services. If you are looking to transform your outdoor living into a work of art, give us a call at (937) 966-6180 or click the "contact me" button to send us a message. We look forward to working with you! Outdoor Envy is located in Cincinnati, Ohio and specializes in the design and installation of hardscapes and paver patios. Our team of certified brick paver installers have the desire and creativeness to surpass your expectations and create the outdoor living area of your dreams. At Everlast Concrete Construction safety, trust, and reliability, are not just words, they are the practices and principals that we use everyday and in all of our projects. Over the years, Everlast has gained a reputation for quality workmanship, excellent service and fair and honest dealings with its clients. We understand that concrete projects are not just our projects. They are projects about our customers. They are about the people who will use what we build or repair. These projects are about the communities and neighborhoods that they are in. What we do is about more than just concrete. We have been operating since 1971, you do not last long in this business if you do not provide a good product. Most of our personal have been with us for over 20 years and experience counts. I'm an idependant contactor that has 20yrs of experience in the concrete industry. I encourage my customers to tell me the exact service that they are looking for. I then present them a numerous amount of options on that particular service, to keep everything at a fair price. I have an eye for business but I do not believe in taking advantage of my customers.I really give my customers time to pick and choose whats best for them to be able to complete their project. I don't pressure my customers into getting anything that they may not want. I always hear my customers out before giving my opinion.I like to walk my customers through the steps of the project so they can fully understand whats going on. Reading Rock is your premiere distributor of Heat-N-Glo and Heatilator fireplaces. Our team of certified technicians install and service both brands and all styles. We also have a team of thin stone veneer installers to enhance the outside of your house or the surround of your fireplace. We've been Cincinnati's supplier of quality building products for more than 70 years. Product lines include; Brick, Paving Systems, Allan Block and ReCon Retaining Wall Systems, Seat Wall Systems, RockCast Cast Stone Wall Caps as well as architectural stone series. The Perfect Paver Company is a passionate group of amazing people who absolutely love the reward we receive every time we bring a paver patio, driveway or pool deck back to life. We utilize steam to achieve an unbelievable level of clean to pavers, and then we seal them to protect and bring them back to life. For the most part, people hire a stone or concrete contractor for large installations like driveways and walkways, or for home facades and exterior columns. These brick, pavers or stonework installations can add lots of functionality and visual curb appeal to your Ohio home. 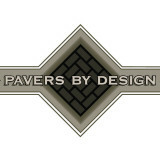 Pavers come in a wide variety of colors, shapes and sizes, and the right vendor or specialist can help you choose a color and design that complements your existing landscaping. From installing new exterior columns to repairing your chimney, masonry contractors can help you add both visual appeal and value to your property. They’ll know what kind of installation makes the most sense for your Green Meadows, OH climate and regional style. Looking for something that will develop a patina with time? Or would you rather have your home feel brand new for years to come? Choosing the right kind of stone involves thinking about the future, too. Experienced brick suppliers and stone suppliers can help you find the material that will work for your home now and for years to come. These professionals aren’t limited to exterior work either. Whether you want a split-stone granite wall in the kitchen or need help installing traditional brick masonry on your fireplace facade, you’ll want a professional to get it right. If you’re already working with an architect or designer, he or she may be able to suggest a good Green Meadows, OH subcontractor to help out. Here are some related professionals and vendors to complement the work of stone, pavers & concrete: Landscape Architects & Landscape Designers, Architects & Building Designers, Garden & Landscape Supplies, Driveways & Paving, Siding & Exteriors. Find stone, paver and concrete professionals on Houzz. Search the Houzz Professionals section for Green Meadows, OH stone, paver and concrete professionals. Browse photos and read reviews, and contact a pro if you like their work.